Compare the Akita to the Scottish Deerhound. Use the tool below to compare temperament, size, personality, maintenance requirements, and everything else between Akitas and Scottish Deerhounds. Owner Experience - The Akita is an okay choice for new or inexperienced owners, but the Scottish Deerhound is not recommended for new owners. 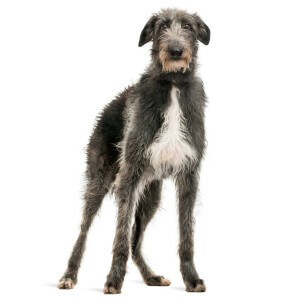 Children - The Scottish Deerhound is very child friendly. 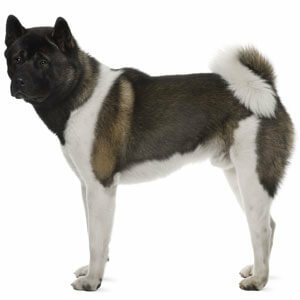 The Akita is not child-friendly and is not recommended for families with young children. Grooming - The Scottish Deerhound requires moderate grooming, but the Akita has high grooming needs. Barking - Both the Akita or Scottish Deerhound will bark less frequently than most breeds. Lifespan 10-12 yrs. 8-11 yrs. Height 24-28 in. 28-32 in.